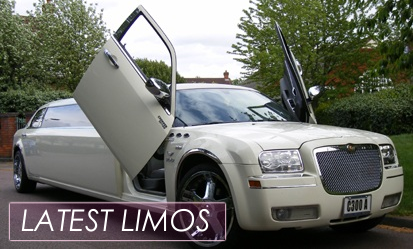 Please complete the form below to receive a Limousine hire price quote for your requirements. Make sure you enter a valid email address as all quotes are sent to your inbox. You can also get an instant quote by calling our Customer Services Team on 0800 881 8824. We will also create an account with us. PLEASE NOTE: IN ORDER FOR THE SYSTEM TO RECOGNISE THE ADDRESS DETAILS PLEASE MAKE SURE YOU INPUT THE DOOR NUMBER ALONG WITH STREET NAME AND POSTAL CODE OF ALL ADDRESSES. IF NO PRICE IS GIVEN PLEASE SUBMIT A REQUEST BY CLICKING THE BUTTON AT END OF THE LAST PAGE OR OTHERWISE CALL 020 8997 2755.